The other day, my client said, “Just play with it…” referring to the work I was about to do for her website redesign. I’ve heard this phrase many times as a web and graphic designer over my career, and it makes me cringe every time. Not because I don’t enjoy what I do, but because design is so much more than playing around with images and text. Thoughtful strategy and intelligence is the foundation of every good design. 1. Never lose track of who the website is for – not you – your target audience. Often clients get hung up about the how the website looks and feels to them, when in fact they need to make it less personal – get themselves out of the way. The website is in fact is not for them, it’s for communicating directly to their target audience. So the trick is to try to get in the mind of that audience and design for them. 2. You don’t need to follow all the latest trends. 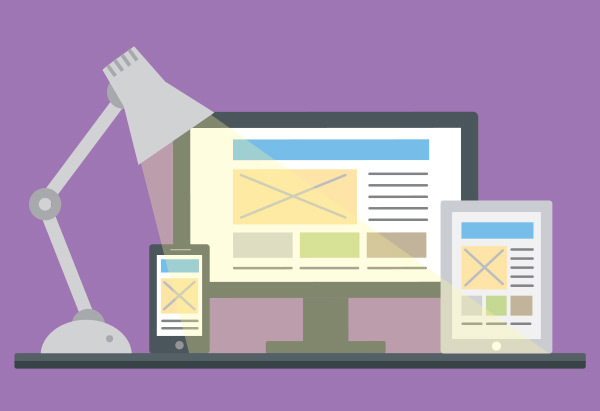 Mobile-optimized web design has taken over the web. Huge and often-time irrelevant images fill the entire browser window and delay a potential customer from understanding what your business actually does. Sometimes I feel like I’ve got to fight the images, asking under my breath, “will you just give me some real content!” You can still create a lovely responsive, visually rich site with punchy information up front that quickly tells users what you do and where they should go on your site. People spend such a small amount of time on your homepage, make it simple and give something compelling right away. 3. Don’t minimize the importance of design. Front end design can be just the tip of the iceberg in terms of the web technology behind the scenes, but don’t minimize it. Bad design can turn people away from your site immediately. On the other hand, a clean, clear, modern, thoughtful user interface makes a huge difference in terms of engagement, conversions and positive experiences of your brand. This is the first in an occasional series of posts about design matters: great design and how it relates to online marketing success.